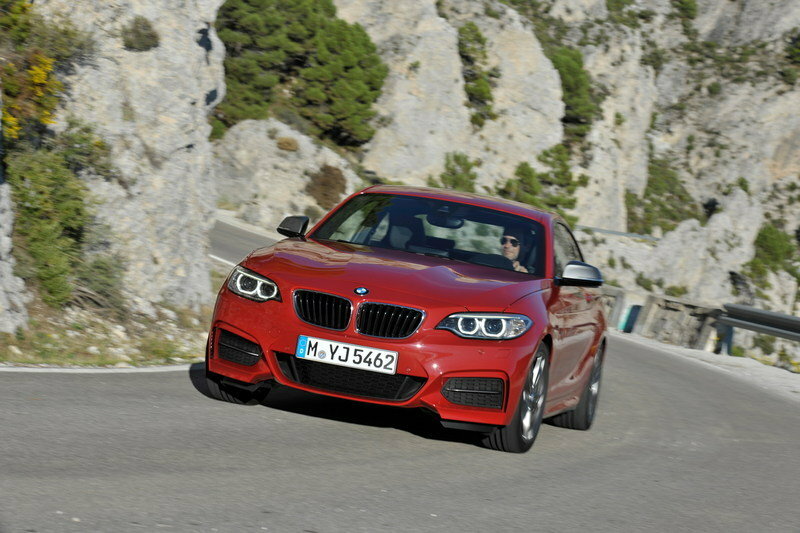 Everyone expected that once the new BMW 2 Series hit the market, that a more powerful M version would soon follow it. 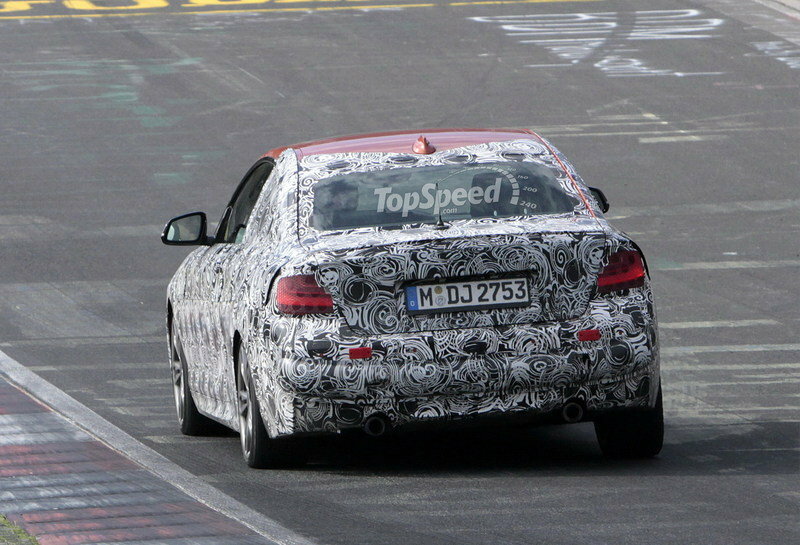 Our spy photographers caught some prototypes testing at Nürburgring, confirming the model. 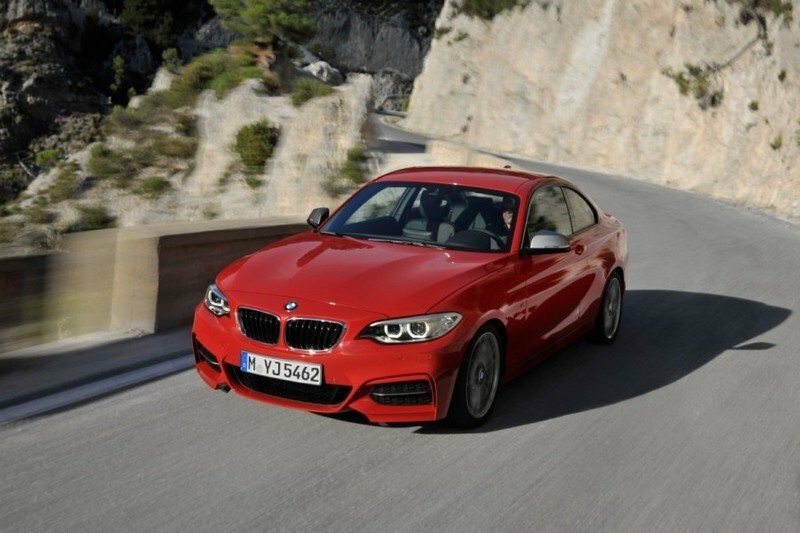 Now, just hours after revealing the 2 Series, BMW has lifted the veil off of the M235i. 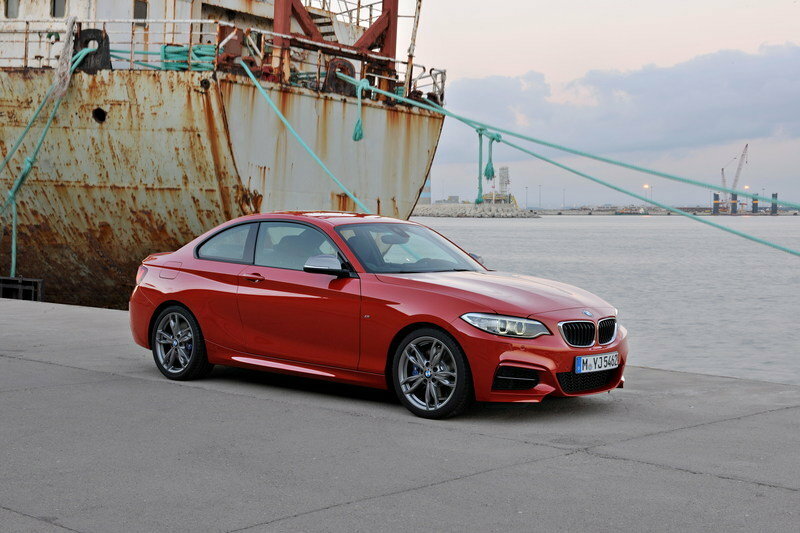 Like the 1 Series Coupe preceded the 2 Series, the M135i and 1M preceded the M235i. Unfortunately, the M135i never available in the U.S., and the 1M Coupe was so limited that its order books closed nearly as fast as they opened. The 1M Coupe was a mighty micro-Bimmer, with its twin-boosted, 3.0-liter, straight-six engine that tortured the concrete with 335 horsepower and 332 pound-feet of torque. 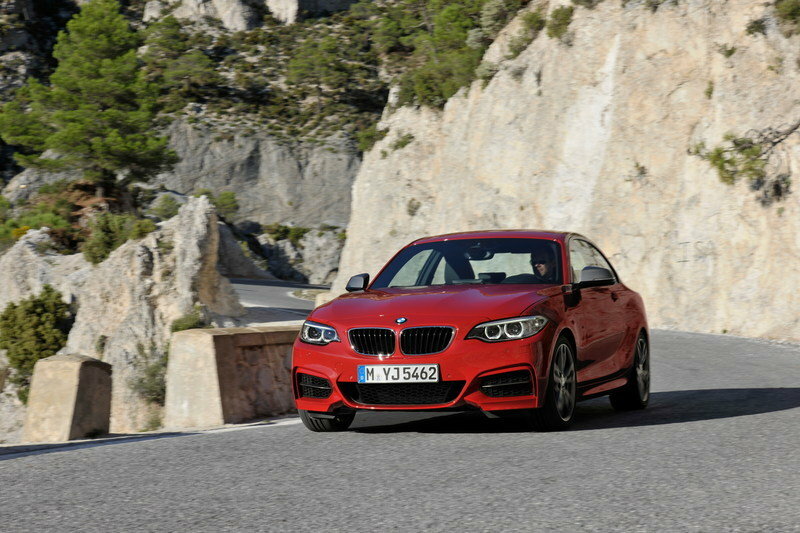 The M235i will use the same powertrain, but with its output slightly reduced to 322 horsepower. 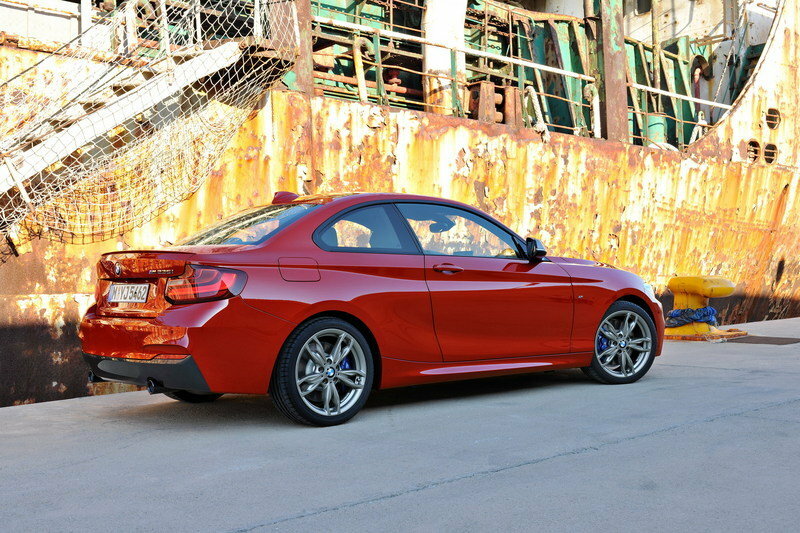 The M2235i will be unveiled at the 2014 Detroit Auto Show and will ht the market at $44,025. Updated 10/25/2013: This review was updated with the official details, images and specs. 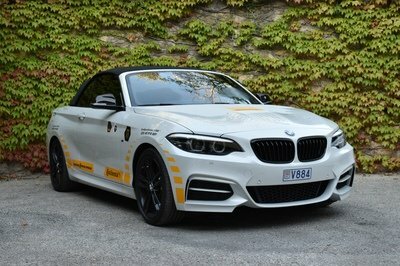 Updated 05/12/2014: BMW officially announced today that a M235i xDrive version will be added to the lineup starting July 2014. The model will be offered with the same engine as the base version, but the sprint from 0 to 60 mph will go down to 4.6 seconds. 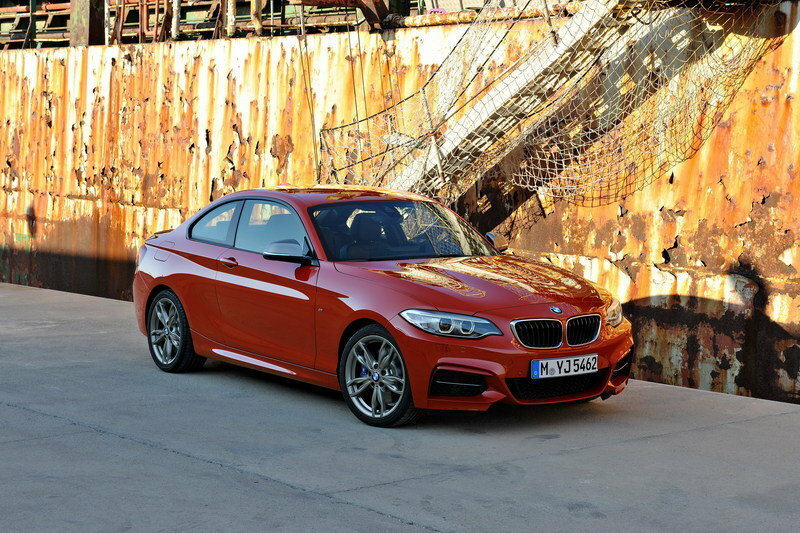 Click past the jump to read more about the BMW M235i Coupe. 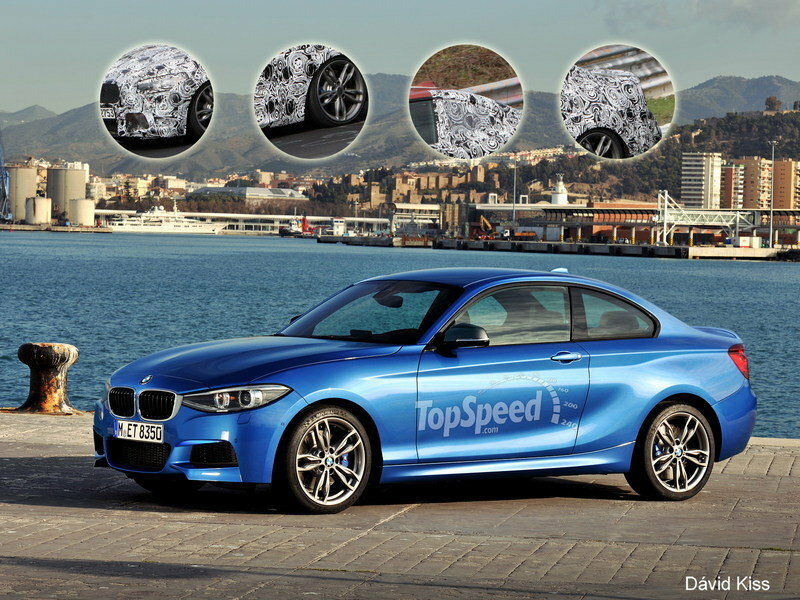 UPDATE 05/07/2013: We have created a rendering of the new M235i coupe to help you get an idea of what to expect. 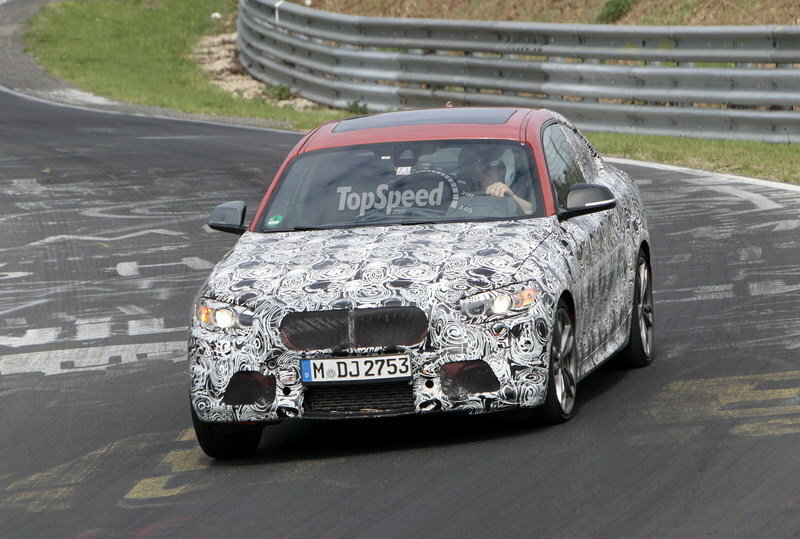 Updated 10/09/2013: According to a report coming fro 2addicts, the upcoming M235i will be powered by a 3.0-liter turbocharged straight-six engine that will deliver a total of 322 horsepower and 332 pound-feet of torque. This output will be enough to sprint the car from 0 to 60 mph in just 4.8 seconds when fitted the automatic transmission, or 5 seconds when mated to a manual gearbox. Top speed will be limited to 155 mph and prices will start from somewhere in the $50k area. Updated 10/24/2013: After the first images of the next M235i taken at a dealer presentation, 2addicts revealed today the first official images of the next sports coupe - just a few hours before the cars official debut. The prototypes caught testing the past few weeks were fully camouflaged, but even so, it is not very difficult to speculate a little bit on the things to come. We expect the M235i Coupe to feature an aggressive exterior language with an M-style front bumper featuring large air intake for optimized engine cooling. The model will likely get the same headlight we have seen on the latest BMW models and the company’s now-famous slightly forward-slanting kidney grille. 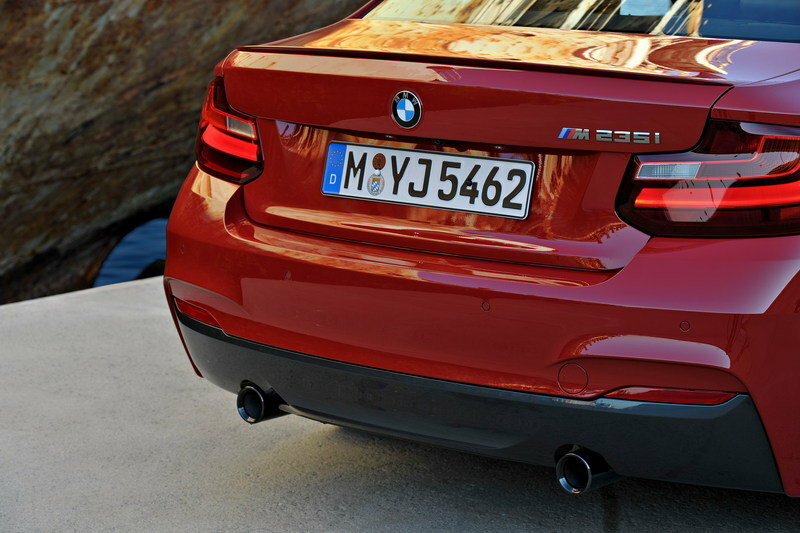 The rear will likely get the same M treatment, with a specially designed bumper, taillights - like the ones we see on the new 3-Series - a trunk-lid spoiler and a sports exhaust system. You can easily notice that the M235i looks rather similar to the 135i with some M components added in, with the same respective modifications you can see between the 1 Series and 2 Series: larger dimensions, squashed and stretched headlights, modified trunk line, new trunk lid spoiler, and revised taillights. Up front, the apron features the traditional M design with large air intakes and flaps inspired by racecars. The M235i is distinguished by a BMW Individual high-gloss Shadow Line trim, exterior mirror caps in Ferric Grey, striking contoured side skirts and a rear apron with its lower section finished in Dark Shadow metallic paintwork that also incorporates the exhaust system’s twin tailpipes. For some reason, the M235i’s face lacks the to-the-grille headlights; a clear sign that BMW may have rushed to get the entire 2 Series lineup into production. The headlights are new when compared to the 1 Series, but they just don’t fit the new look that Bimmer has been rolling out. The grille also looks to get a light revision, leaning it forward slightly to give the 2 Series a sportier look than the 1 Series. The backside is a bit of a yawn-fest, but there are some light revisions. 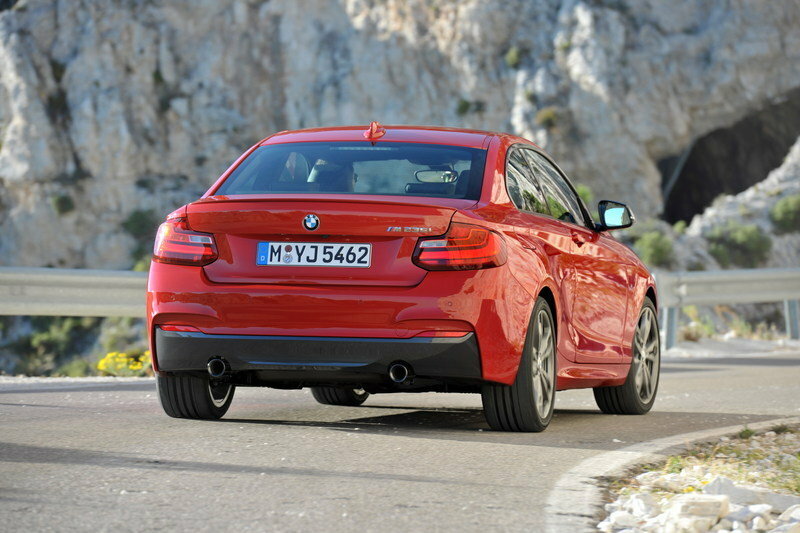 The taillights get a light refresh from the 1 Series, and the trunk lid looks less flat than the 1er. 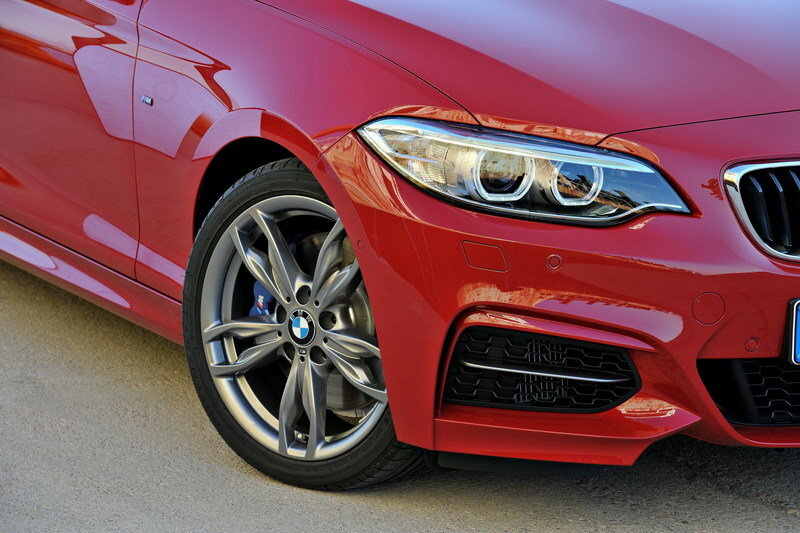 From the profile is really where the new M235i makes its mark, as it wraps the revised headlights, taillights and trunk lid all together to bring it all into focus. We saved this view for last, given it is really our favorite and endears the car to us much more so than the front and rear shots. For the interior, the M235i adds door-sill strips with aluminum inserts featuring “M235i” lettering. The river and passenger get the added support of sports seats wrapped in leather, a leather-wrapped M steering wheel with multifunction buttons, a BMW Individual roof liner in Anthracite and Aluminum Hexagon interior trim with accent strips in matte Estoril Blue or high-gloss black. The gearshift lever and the selector level are wrapped in leather, and there is also a special instrument cluster with digital model designation together with red dials and numbers for the speedometer and rev counter. 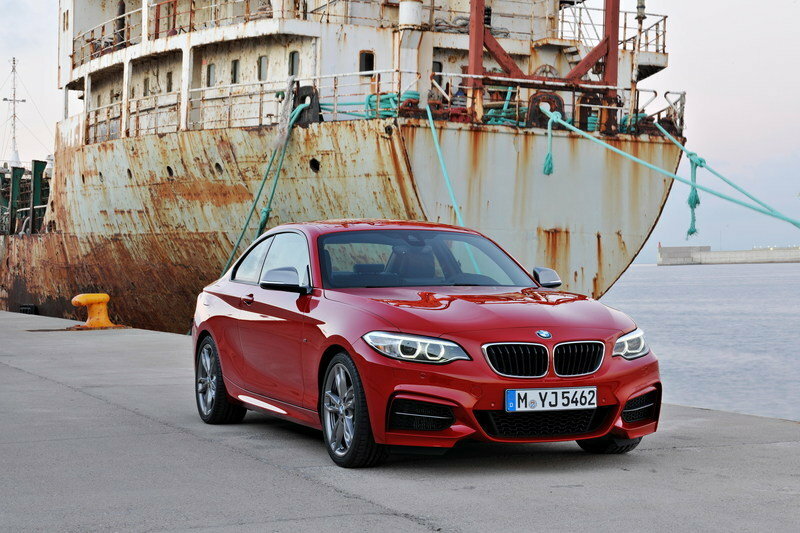 Because the 2 Series’ exterior grew in relation to the 1 Series, its cabin grew too. The front headroom grew by 0.7 inches and rear-seat legroom jumped by 0.8 inches. Additionally, should you opt for the Easy Entry function, the space to access the rear seats also grew by 0.4 inches. Packing luggage in the trunk is even easier too, thanks to the extra 0.7 cu.ft. 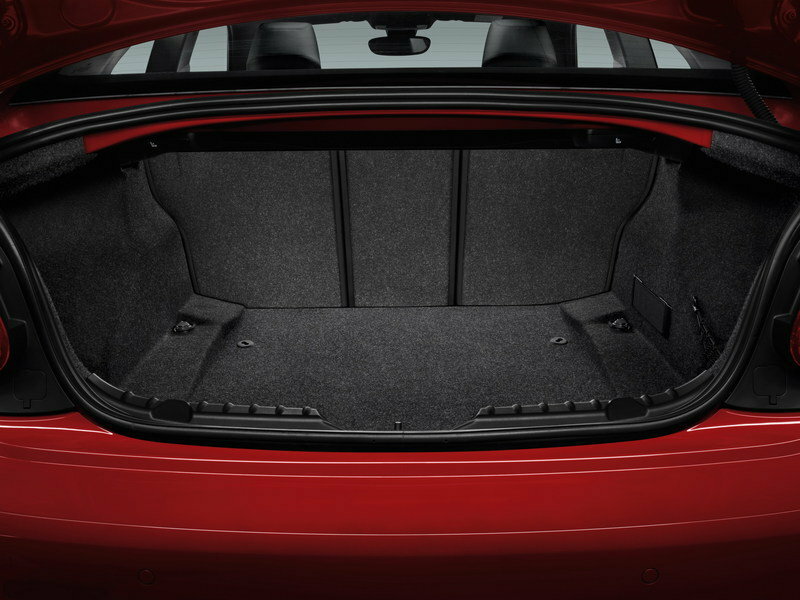 of trunk space, which brings the M235i’s total tally to 13.8 cubic feet. BMW also widened the width of the trunk opening by1.5 inches (38 mm), making it easier top set larger items in the trunk. Lastly, the standard 60:40 split-folding rear seat bench allows you to select the best arrangement to maximize both seating and cargo space. The M235i is powered by a 3.0-liter, in-line six-cylinder engine equipped with TwinPower Turbo technology, and modifications to the cooling system, power management and sound tuning. 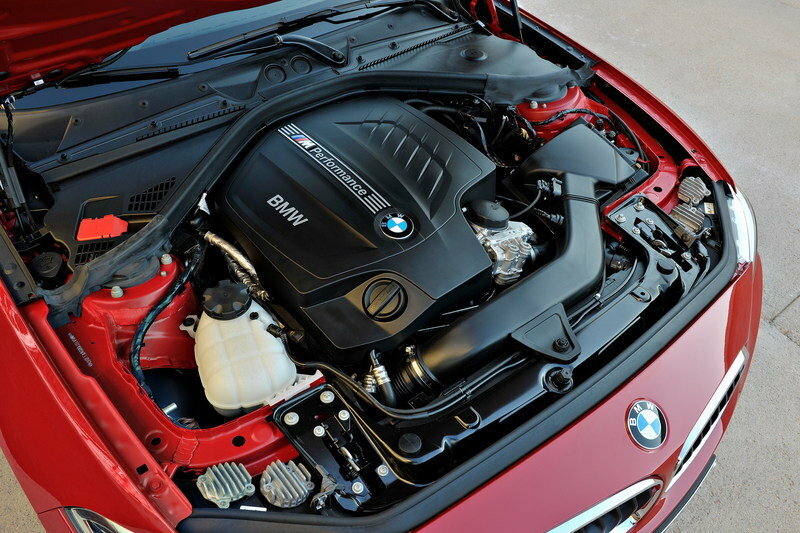 This powerplant pushes the M235i’s output to a healthy 322 horsepower between 5,800 and 6,000 rpm, and 332 pound-feet of torque between 1,300 and 4,500 rpm. The engine comes mated to an eight-speed sport automatic, but an optional six-speed manual is offered at no additional cost. The M235i sprints from 0 to 60 mph in just 5 seconds, and that drops to an even better 4.8 seconds with the standard launch control activated. The M235i is also rather easy on gas for its performance-oriented nature, checking in at 22 mpg city, 32 mpg highway and 25 mpg combined for the 8-speed sport automatic. 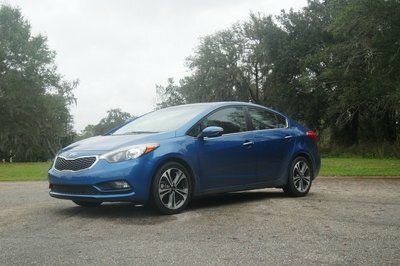 With the six-speed manual in tow, the fuel economy drops to 19 mpg city, 28 mpg highway and 22 mpg combined. 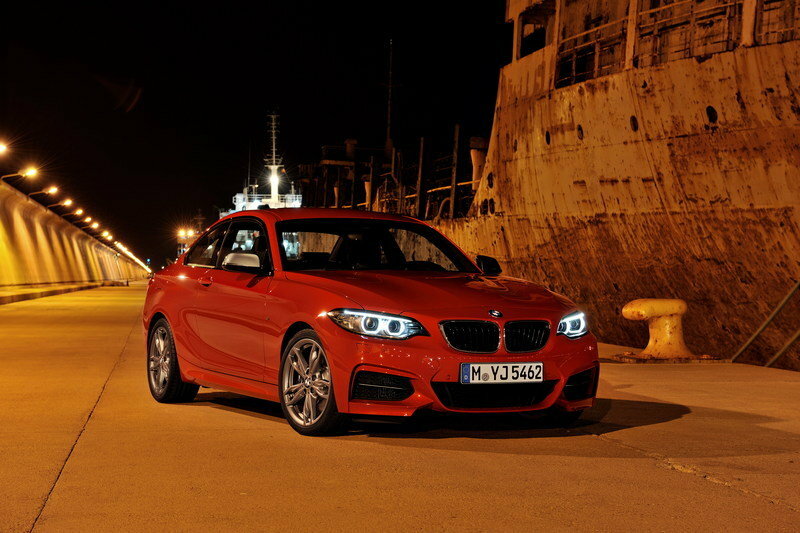 The new BMW M235i will be unveiled at the 2014 Detroit Auto Show and will be put on sale in the first quarter of 2014. Prices will start from $44,025. 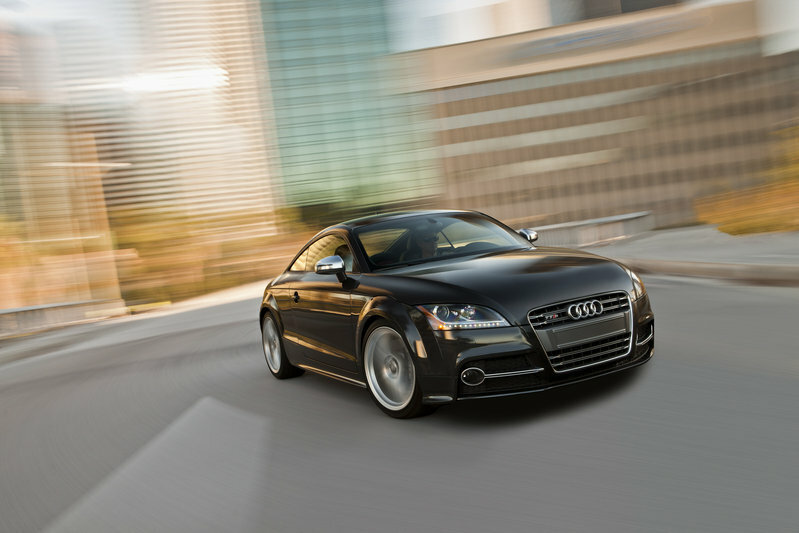 Currently, the Audi TTS is one of the best-sold sports coupes in Europe and the U.S. The model is powered by a 2.0-liter, TFSI engine that delivers a total output of 265 horsepower and 258 pound-feet of torque. This power is enough to sprint from 0 to 60 mph in 4.9 seconds and up to a top speed is limited to 155 mph. The TTS has it all: great looks, enough power and a good price (about $47k). 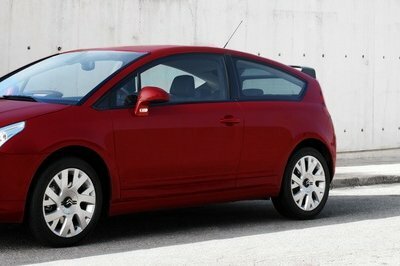 Of course, let’s not forget for those with a little more money to burn, there is also the TT-RS alternative. So, BMW will have to work hard if it wants to steal some of the faithful Audi clients. If you ask us, the 370Z is a car that looks more the part of a sports coupe. And yes, it has another big advantage: it is currently one of the cheapest sports coupes on the market with its $33,120 starting price. 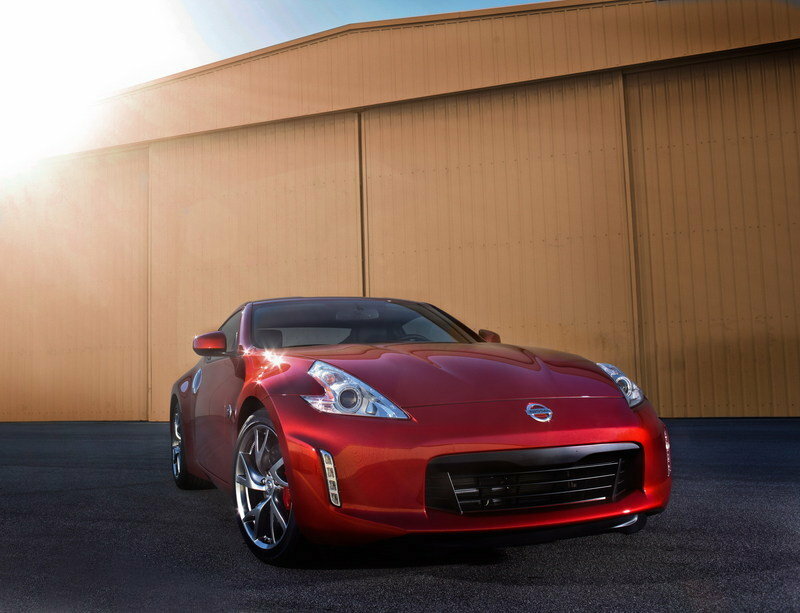 The 370Z is powered by a 3.7-liter, V-6 engine that delivers a total of 332 horsepower and 270 pound-feet of torque. It can sprint from 0 to 60 mph in 4.5 seconds, while top speed is also limited to 155 mph. Yeah, the 370Z isn’t the luxury model that the M235i is, but it comes in at quite a bargain and will crush the Bimmer on the track — in a straight line, at least. The new 2 Series is a nice addition to the BMW lineup, and it gives the manufacturer a well-rounded lineup of sedans and coupes. 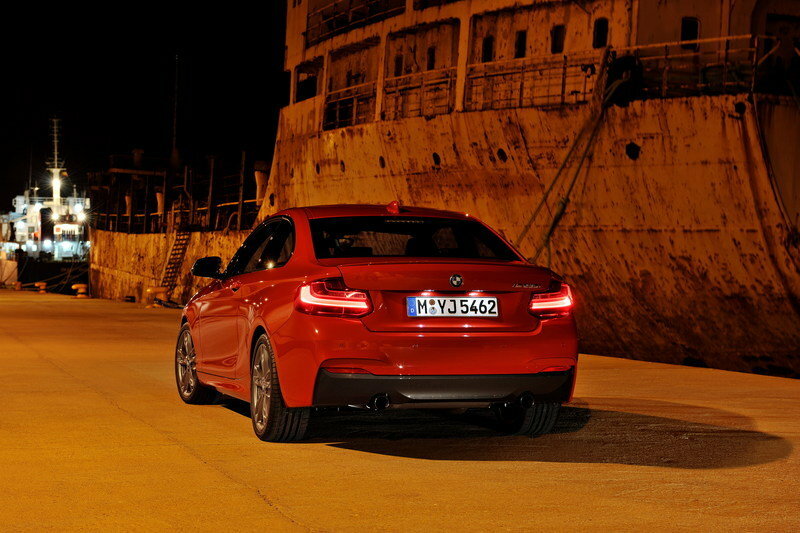 The M235i simply adds a little more power to the 2er mix, giving it immediate credibility in the sport coupe realm. Sure, it is a little pricey, but to be able to launch to 60 mph in under five seconds makes that an easy pill to swallow. BMW M Performance Automobile with 322 hp TwinPower Turbo inline six-cylinder engine. Bespoke chassis technology and aerodynamically optimized body, set-up exudes hallmark M precision. The vehicle concept of the BMW M235i Coupe responds to the desire of sporty drivers for more driving pleasure without compromising on everyday usability. 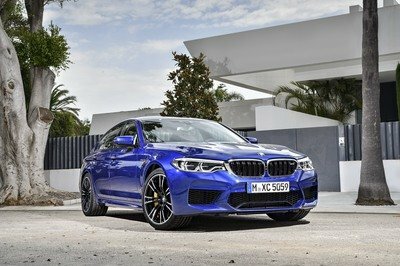 Its handling properties are defined by impressive agility and precision, the result of extensive modifications made by BMW M GmbH to the components involved in maximizing the car’s sporting ability. The precisely adjustable driving characteristics of the BM M235i Coupe reflect the expertise and experience of BMW M GmbH in both motor sport and the development of high-performance sports cars. 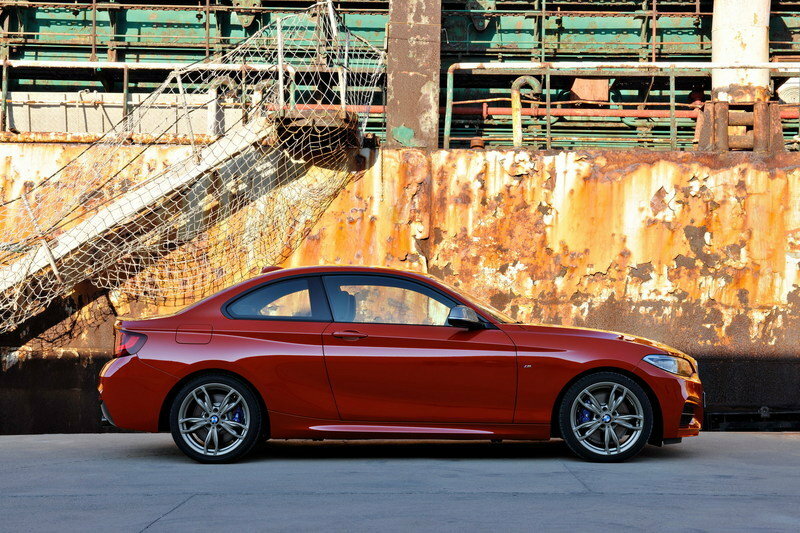 Exclusive t o the BMW M235i Coupe: a BMW M Performance limited slip differential available as an accessory. The car also features door sill strips with aluminum inserts bearing “M235i” lettering and a specially “tuned” interior design. It offers sports seats for the driver and front passenger, an M leather steering wheel with multifunction buttons, a BMW Individual roof liner in Anthracite, Aluminum Hexagon interior trim with accent strips in matt Estoril Blue or high-gloss black, leather trim for the gearshift lever / selector lever and handbrake lever gaiter, an M driver’s footrest, a special instrument cluster with digital model designation together with red dials and numbers for the speedometer and rev counter, as well as variable use of color for the interior lighting and blue detailing for the car key. Spaciousness and functionality much enhanced compared to predecessor model. Extensive standard equipment and high-quality options help to set models apart. The construction techniques and materials used for the body of the BMW 2 Series Coupe are underpinned by the principle of intelligent lightweight design. 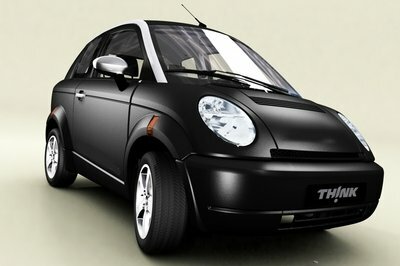 This approach allows agility and occupant protection to be enhanced while keeping the car’s weight as low as possible. For example, the increased rigidity of the car’s front end has a direct effect on the dynamic properties of the BMW 2 Series Coupe. Comfortable entry and more rear legroom . 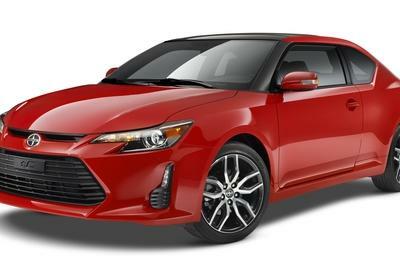 Standard equipment includes dual-zone automatic climate control a nd Driving Experience Control. Most extensive range of driver assistance systems and mobility services in the sub-compact segment. High Beam Assistant and Active Driving Assistant enhance safety. Standard BMW Assist eCall with enhanced automatic collision notification and BMW Teleservice included for 10 years. Additional functions can be accessed through BMW ConnectedDrive.